Stay Focused. Stay Determined. Mind Your Own Business. 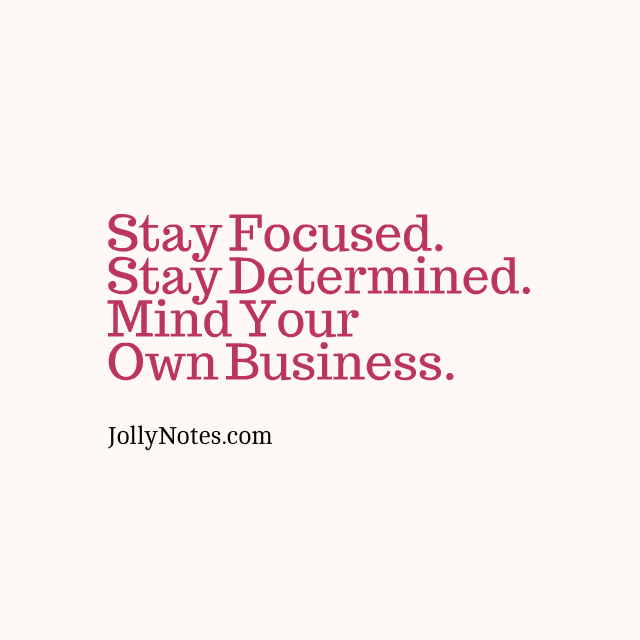 Stay Focused, Stay Determined, and Mind Your Own Business. Let’s Mind Our Own Business. So help us God, Amen. Stay Focused on what God wants for you. Stay focused on becoming better and wiser. Stay focused and run your own race. Stay focused and positive. Stay in your lane and shine for God: God will take care of you! Stay Determined and Persevere. Keep Working Hard and Keep on Pressing toward the mark. Keep on Learning & Growing, and Keep Being a Blessing. Don’t let other people’s actions affect you. Stay hopeful, and Keep trusting God one day at a time. God will bless your hard work! 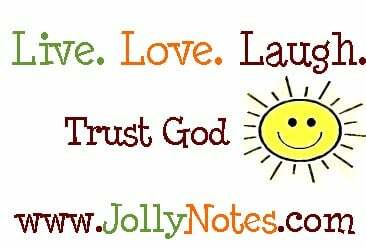 Isaiah 40:31, NLT But those who trust in the LORD will find new strength. They will soar high on wings like eagles. They will run and not grow weary. They will walk and not faint. See also: 12 Encouraging Bible Verses about Determination. Mind Your Own Business. Stay away from gossip, drama and petty distractions – remember, too much talk leads to sin! Mind your own business, focusing instead on becoming who God created you to be. Don’t waste your time with things that don’t concern you. Fix your eyes on God, and maintain your confident trust in God. Stay focused and never give up – God will work it out! 1 Thessalonians 4:11-12, NIV Make it your ambition to lead a quiet life: You should mind your own business and work with your hands, just as we told you, so that your daily life may win the respect of outsiders and so that you will not be dependent on anybody. See also: 10 Important Bible Verses about Minding Your Own Business. Stay Focused and Humble – Humility is the key to success! Stay Focused and Positive – God’s got your back, and God will take care of you! Stay Focused and Motivated through the ups and downs – God is with us always! Finally, Stay focused and never give up – God blesses our efforts to obey Him! Dear Lord, Please Help me to Stay Focused. Please Help me to Stay Determined. And Dear Lord, Please Help me to Mind My Own Business. Amen. ← Excited to see all that God has in store for us this year!